Imagine, just for a minute, that you’re back at school and you get the chance to meet and ask your favourite athlete a question. Wouldn’t that make your day? Your year? Your life? 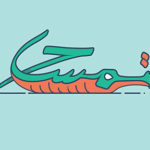 That’s just what happened in Dubai, UAE, for the students of DES School. The athlete? None other than international superstar and adidas ambassador Mo Salah. Just in case you didn’t know, Mo plays as a forward for Liverpool as well as the Egypt national team where he’s hoping to bring them FIFA world cup glory. As one of Europe’s top five leagues’ fifth most expensive player, we’re pretty sure he has a big chance to get it done. Other than being an incredibly talented football player, Mo is also a genuinely nice guy. So, it was no surprise to us when he was part of a children’s press conference hosted by adidas. Students from the Dubai based DES School, were the guests (and the journalists) at an hour-long press conference with the football star near The Dubai Mall. 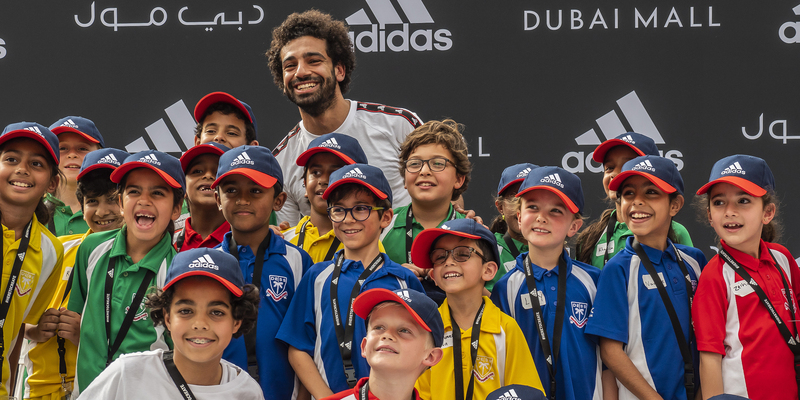 With the Burj Khalifa serving as their backdrop, children between 7 – 10 years old, from all over the world (including Mo’s Egypt) were able to ask him about football and so much more. The best part? Mo hung out with the children after the press conference and even kicked a ball around! Following the kids’ press conference, Mo made his way to the adidas Originals store at The Dubai Mall to greet competition winners and fans, as well as watch Abu Dhabi-based Somali rapper, Freek perform his own track Mo Salah, named after the footballer.